As Behavior Analysts, we can never overstate the importance of attending to antecedents. This is particularly true when we are assessing challenging behavior. Many times, teachers, parents, and behavior analysts can “miss” antecedents if constant observation of the child is not possible. 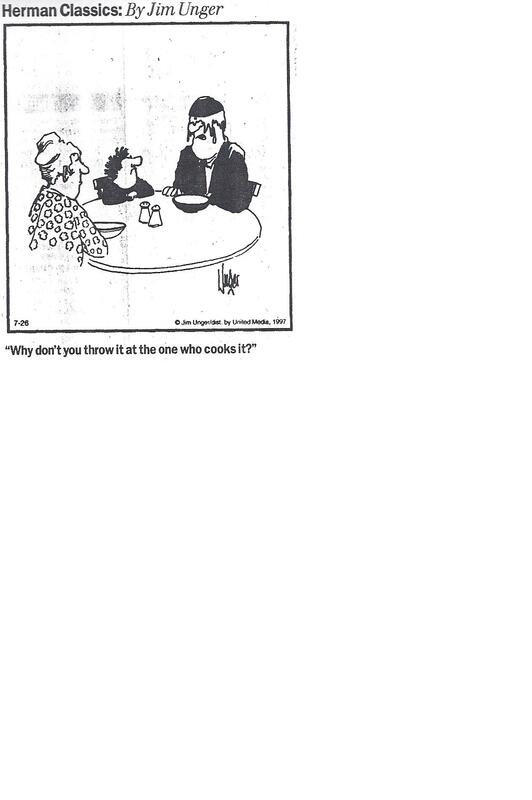 In the cartoon below, a number of plausible antecedents could have occurred to which the child responded by throwing his food. Check it out, mull it over, and then use the comments section to voice your opinion. Of course, none of us will ever know the real antecedent except Jim Unger, the cartoonist responsible for such great creativity.